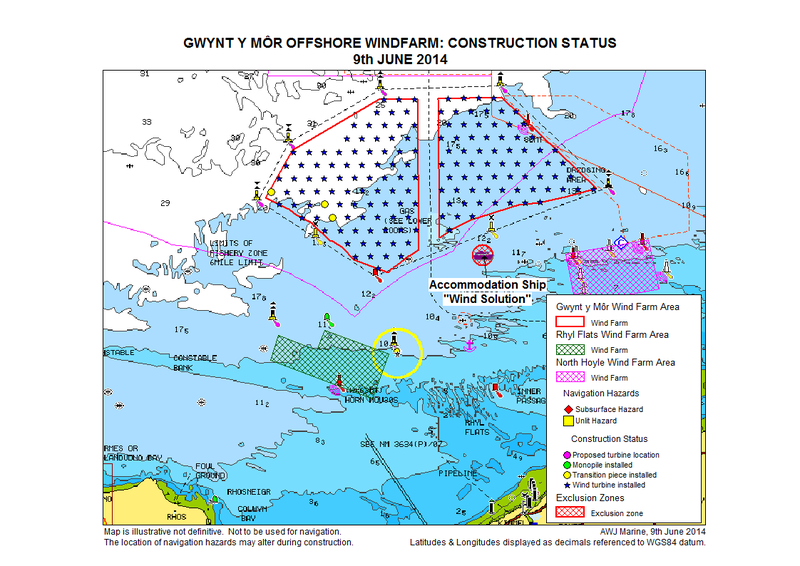 This is a summary of the weekly notice of operations for the Gwynt y Môr Offshore Windfarm issued on 9th June 2014 to harbour masters and sea users. This notice describes progress with construction, recent operations, work planned for the next 7 days, and provides a list of vessels operating on the site with their contact details. Array cables: 109 array cables installed, 79 remaining. Wind Turbine Generators: 157 installed, 3 remaining.